It’s a full house with talk radio’s “Big Dog”, Brother Craig, unloading REALLY, Real, Deal commentary and news analysis on the DOJ pink slipping FBI’s Andrew McCabe, and other top news items. a special encore visit from “everybody’s favorite economist”, Dr. Walter E. Williams, who chats on economics, legalized theft, personal liberty, and what it means to stand for something, and much more. 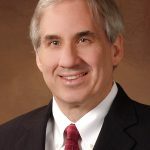 Dr. Williams is a John M. Olin Distinguished Professor of Economics, holds a BA degree in economics from California State University and MA and PhD degrees in economics from UCLA. In addition he holds a Doctor of Humane Letters degree from Virginia Union University and Grove City College. He has made scores of radio and television appearances which include “Nightline,” “Firing Line,” “Face the Nation,” Milton Friedman’s “Free To Choose,” “Crossfire,” “MacNeil/Lehrer,” “Wall Street Week” and was a regular commentator for “Nightly Business Report.” He was also an occasional substitute host for the “Rush Limbaugh” show. In addition, Dr. Williams writes a nationally syndicated weekly column that is carried by approximately 140 newspapers and several web sites. Dr. Williams has received numerous fellowships and awards including: the 2017 Bradley Prize from the Lynde and Harry Bradley Foundation, California State University Distinguished Alumnus Award, and George Mason University Faculty Member of the Year. In the final hour of the program, author Heather MacDonald drops in with her new book,“The War on Cops”, and the growing trend of anti-white racism and the divisive indoctrination of “white privilege” throughout universities. In “The War on Cops”, MacDonald argues that violent crime has been rising sharply in many American cities after two decades of decline. Homicides jumped nearly 17 percent in 2015 in the largest 50 cities, the biggest one-year increase since 1993. The reason is what Heather Mac Donald first identified nationally as the “Ferguson effect”: Since the 2014 police shooting death of Michael Brown in Ferguson, Missouri, officers have been backing off of proactive policing, and criminals are becoming emboldened. This book expands on Mac Donald’s groundbreaking and controversial reporting on “The Ferguson Effect” and the criminal-justice system. “The War on Cops” deconstructs the central narrative of the Black Lives Matter movement: that racist cops are the greatest threat to young black males. On the contrary, it is criminals and gangbangers who are responsible for the high black homicide death rateMac Donald gives voice to the many residents of high-crime neighborhoods who want proactive policing. She warns that race-based attacks on the criminal-justice system, from the White House on down, are eroding the authority of law and putting lives at risk. This book is a call for a more honest and informed debate about policing, crime, and race. 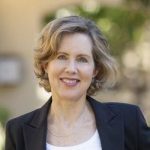 Heather Mac Donald is the Thomas W. Smith Fellow at the Manhattan Institute, a free-market think tank that focuses on economic growth, education, energy and the environment, healthcare, legal reform, the public sector, and race and urban policy. She is a contributing editor of City Journal and a recipient of the 2005 Bradley Prize. Mac Donald’s work at City Journal has covered a range of topics, including higher education, immigration, policing, homelessness and homeless advocacy, criminal-justice reform, and race relations. Her writing has appeared in the Wall Street Journal, Washington Post, New York Times, Los Angeles Times, The New Republic, and The New Criterion. Mac Donald’s newest book, The War On Cops (2016), warns that raced-based attacks on the criminal-justice system, from the White House on down, are eroding the authority of law and putting lives at risk. Other titles include, The Burden of Bad Ideas, The Immigration Solution, Are Cops Racist? Heather is working on her next book, Diversity Delusion. Below are some titles you might enjoy adding to your library from Dr. Williams and Heather MacDonald. Just click on the titles to learn more.